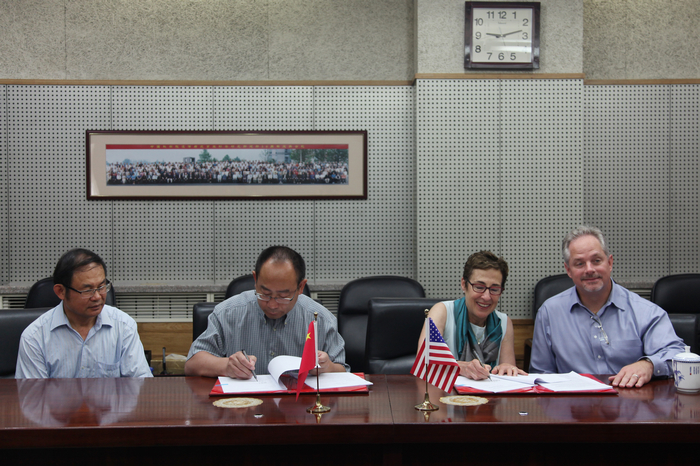 Institute of Genetics and Developmental Biology (IGDB) Chinese Academy of Sciences (CAS) and DuPont Pioneer signed the agreement to extend a Collaborative Research Agreement on biotechnology and molecular crop breeding on August 13, 2015, Beijing. 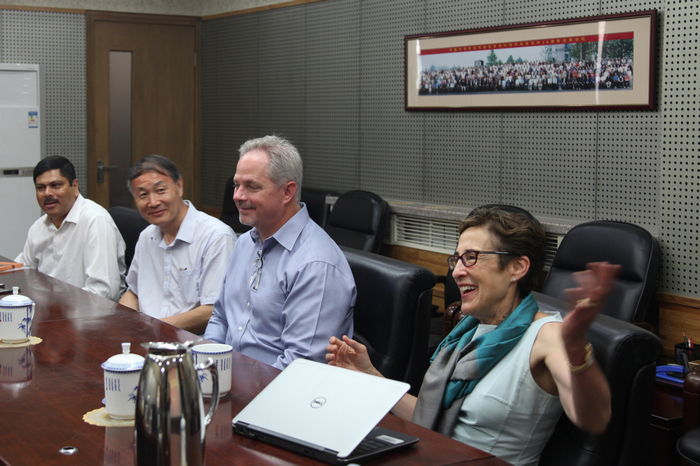 YANG Weicai, Director, IGDB of CAS, and Barbara Mazur, Vice President of DuPont Pioneer signed the agreement. In the past five years, IGDB and DuPont Pioneer have jointly carried out multiple researches in crop genetics and biotechnology. The collaboration enabled both parties to explore new genetic traits, breed new crop varieties. Both parties decided to continue the collaboration and have decided to extend the agreement for another five years. Both IGDB and DuPont Pioneer are strong leaders in agricultural biotechnology. Both parties will jointly initiate collaborative researches to provide solutions to the major global challenges in securing resources, food, ecological environments and the like. This partnership is an excellent example of local well-known research institutes collaborating with leading international seed companies. 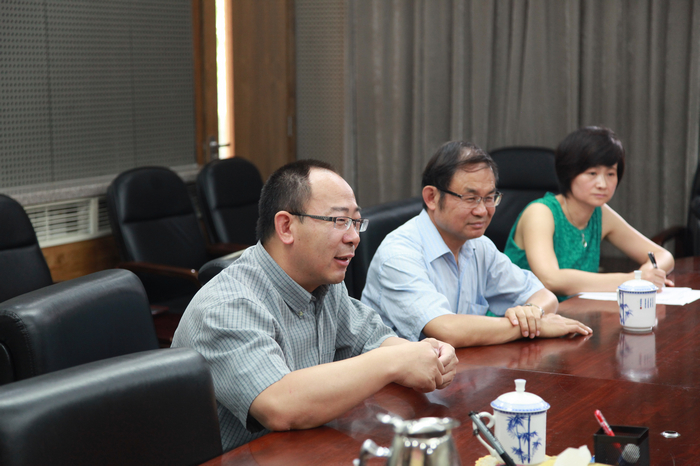 "The cooperation in the past five years is fruitful. Based on mutual benefits, the two parties will achieve a mutually beneficial outcome, promote the development of cutting-edge agricultural biotechnology and make contributions to agricultural development in China and worldwide" said YANG Weicai. "China is currently feeding 20 percent of the global population with 10 percent of the world's arable land," said Barbara Mazur. "The country has dramatically increased productivity in rice and corn production through hybridization. However, new technologies are needed to see the step-change increase in corn and soy productivity to ensure China's food security for the future." "DuPont Pioneer is leading the seed industry revolution and IGDB-CAS is a world-class research organization in plant biotechnology," said Tom Greene, Senior Research Director of DuPont Pioneer. 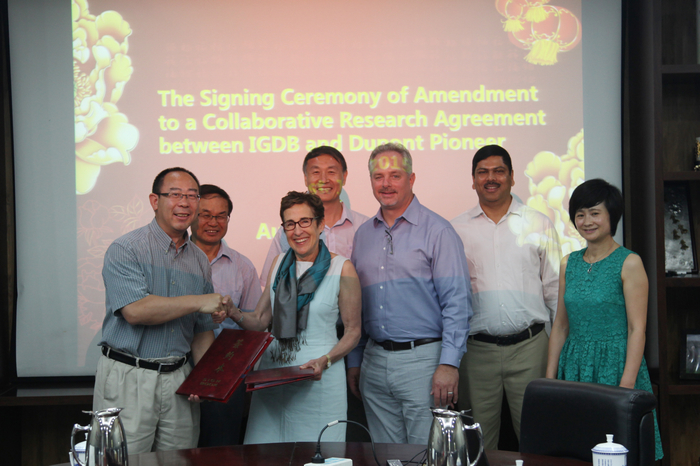 "The collaboration between DuPont Pioneer and IGDB-CAS will leverage strengths of both sides to provide better crop varieties to increase productivity, improve farmers' income and quality of life; meet the growing demand for food, feed, fuel and fiber, so to develop a sustainable agricultural industry in China and worldwide. ".